my landlord calls these wild onions. they certainly smell like onions. 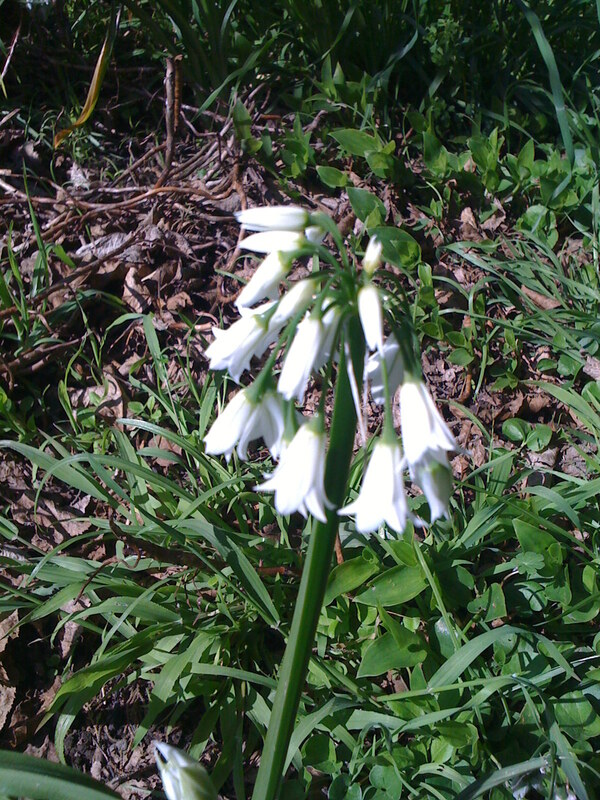 they are very pretty little white flowers that have volunteered to grow all over our garden.